Kansas parents may pay a steep price for taking their eyes off their child. Video from the Tomahawk Ridge Community Center in Overland Park shows two boys running around the center where the family was attending a wedding. 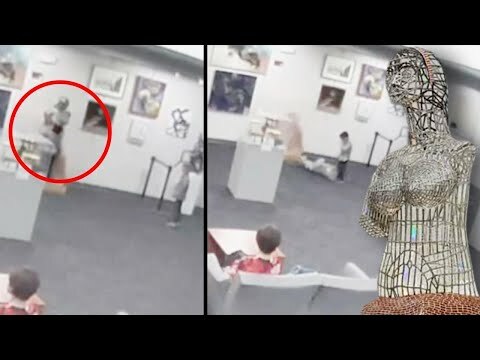 Then one of them is seen grabbing a statue on a stand, causing it to fall and break. The parents say they were stunned when they were informed of the statue’s value: $132,000. InsideEdition.com’s Mara Montalbano (https://twitter.com/MaraMontalbano) has more.